Portal Jurnal Elektronik Universitas Kristen Satya Wacana adalah sistem manajemen jurnal elektronik yang dikelola dan dipublikasikan oleh Universitas Kristen Satya Wacana Salatiga. 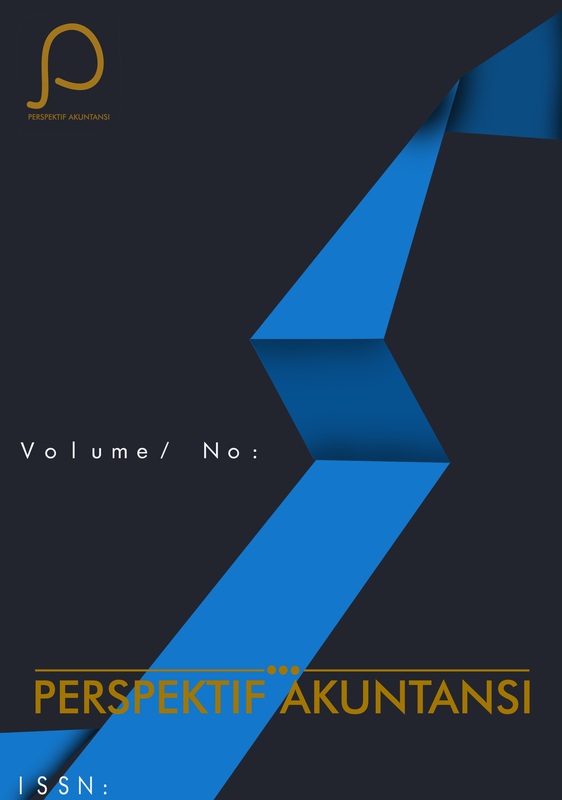 REFLEKSI HUKUM is a peer-review scholarly Law Journal issued by Faculty of Law Satya Wacana Christian University which is purported to be an instrument in disseminating ideas or thoughts generated through academic activities in the development of legal science (jurisprudence). REFLEKSI HUKUM accepts submissions of scholarly articles to be published that cover original academic thoughts in Legal Dogmatics, Legal Theory, Legal Philosophy and Comparative Law. In order to guarantee the originality of articles and to avoid plagiarism, eewoww and Grammarly software will be used for each article checking. In addition, the author whom the article is announced to be eligible for being published shall submit approval declaration of article publishing and plagiarism declaration. 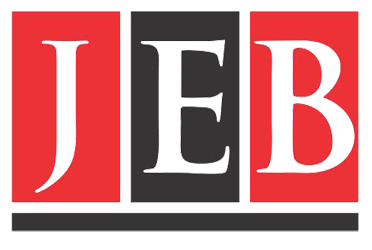 Refleksi Hukum receives articles in Bahasa Indonesia and English and it will be issued twice in a year (April and October). 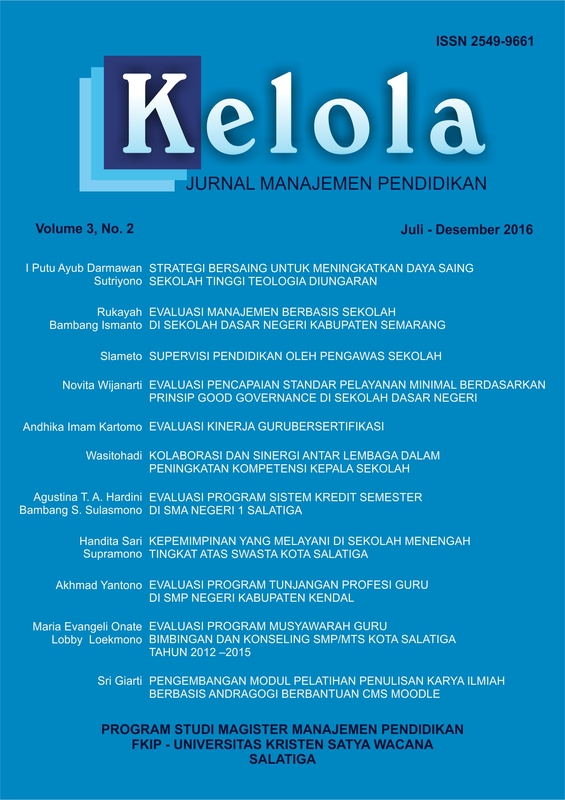 Scholaria: Jurnal Pendidikan dan Kebudayaan is a double blind-peer-reviewed journal managed by Program Studi Pendidikan Guru Sekolah Dasar (PGSD), Fakultas Keguruan dan Ilmu Pendidikan (FKIP) Universitas Kristen Satya Wacana (UKSW) Salatiga cooperates with the Himpunan Dosen Pendidikan Guru Sekolah Dasar Indonesia presenting diverse themes, yet still within major themes in education. Particularly about the study of theoretical education and results of classroom action research, experimental research and development research in the development of education including sustainable professionalism. Scholaria: Jurnal Pendidikan dan Kebudayaan is published three times a year in January, May and September. 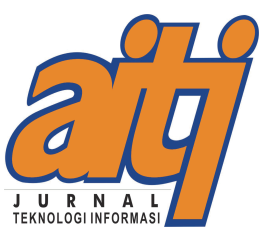 Scholaria: Jurnal Pendidikan dan Kebudayaan is indexed by Directory of Open Access Journals (DOAJ), Google Scholar and Indonesian Publication Index. AGRIC is a peer-review journal containing primary articles directly sourced from agricultural research, agrotechnology and agribusiness, as well as scientific reviews that can contribute to the science and community development, supported by accurate and up-to-date data. The agrotechnology includes all aspects of science to support widespread agricultural crop production techniques, while agribusiness sciences include extensive social and economic studies of agricultural business. 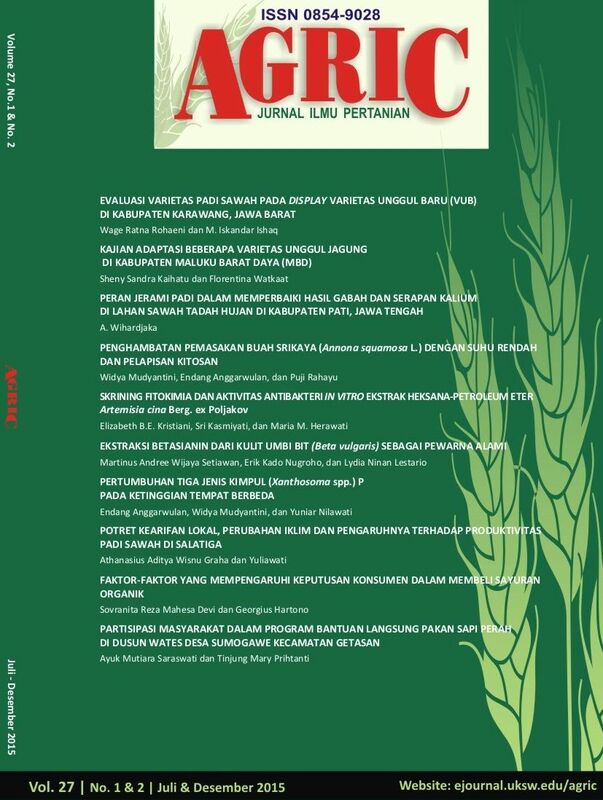 AGRIC Journal is published two times a year, in July and December. 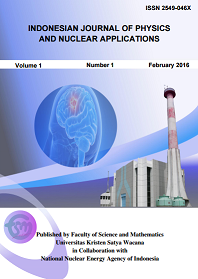 Indonesian Journal of Physics and Nuclear Applications focuses on the application of physics, nuclear physics and also interdiciplinary topics that use physics or nuclear physics, in the area of health, food, agriculture, environtment, energy, etc. This journal provides immediate open access to its content on the principle that making research freely available to the public supports a greater global exchange of knowledge. Jurnal Cakrawala adalah jurnal (riset) ilmu-ilmu sosial yang terbit dua kali dalam setahun, yaitu pada bulan Juni dan Nopember pada masing-masing volume. Cakrawala menerima artikel ilmiah hasil-hasil penelitian, yang tentu saja harus didasarkan pada hasil penelitian yang mengetengahkan urgensi, manfaat dan tujuan penelitian. Selain itu artikel juga dapat memuat telaah kritis terhadap suatu hasil atau proses penelitian sosial yang sedang aktual. Artikel yang akan dimuat dapat pula mengemukakan hasil perenungan kritis dan menyeluruh menyangkut suatu teori, metode penelitian, ataupun hasil penelitian sosial. 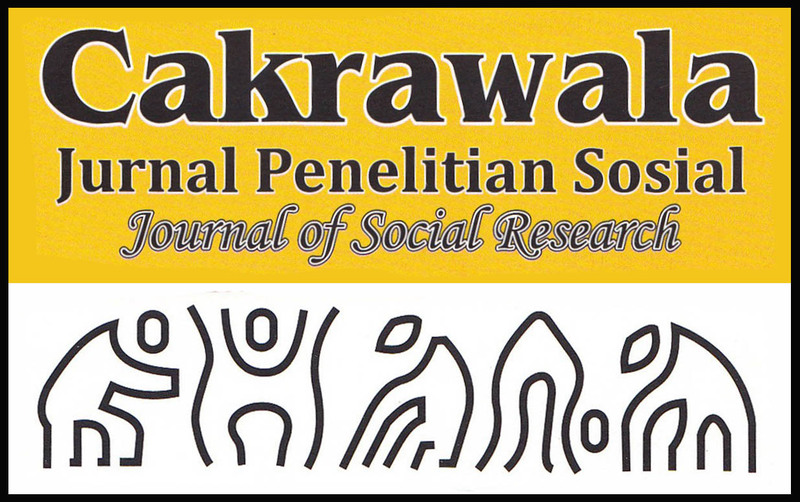 Journal Cakrawala is a journal (based on research) in the field of social sciences, published twice a year, in June and November of each volume. Cakrawala accept scientific article research results, which of course should be based on the results of research that explores the importance, benefits and research purposes. In addition the article also contains a critical examination of the results or the actual social research. The article will be published, can also express critical reflection and thorough results regarding a theory, research methods, or the results of social research. 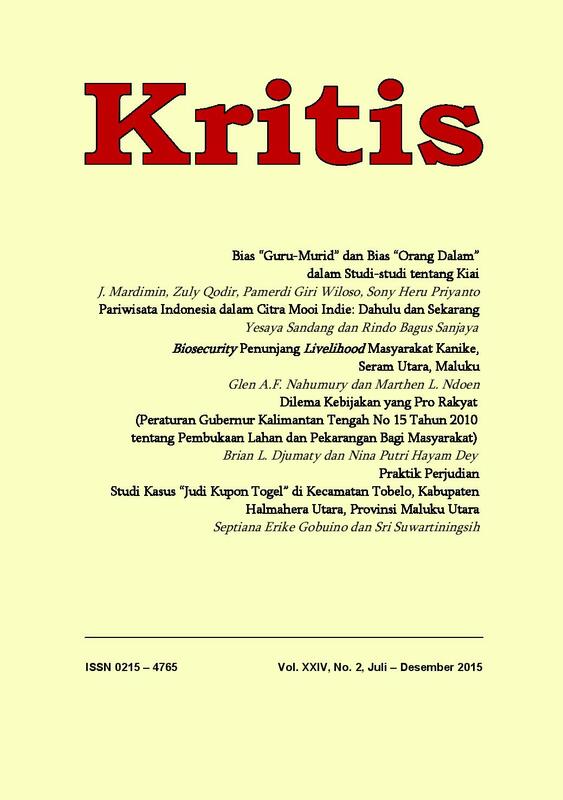 The Jurnal Sains dan Edukasi Sains (JuSES) is open access and peer-reviewed journal publishing in Indonesian. It aims to publish academic articles such as original articles and review articles of conceptual, experimental, theoretical, and applied in the field of Mathematics and Natural Sciences from the following subject areas Biology, Biology Education, Chemistry, Chemistry Education, Physics, Physics Education, Mathematics, Mathematics Education, and Natural Sciences Education. 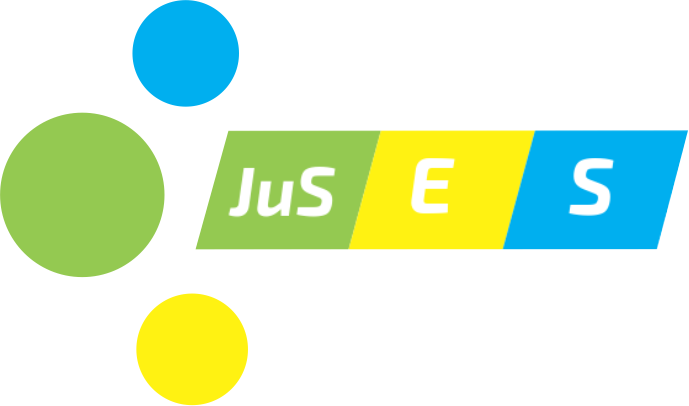 The JuSES published online twice a year in February and August. 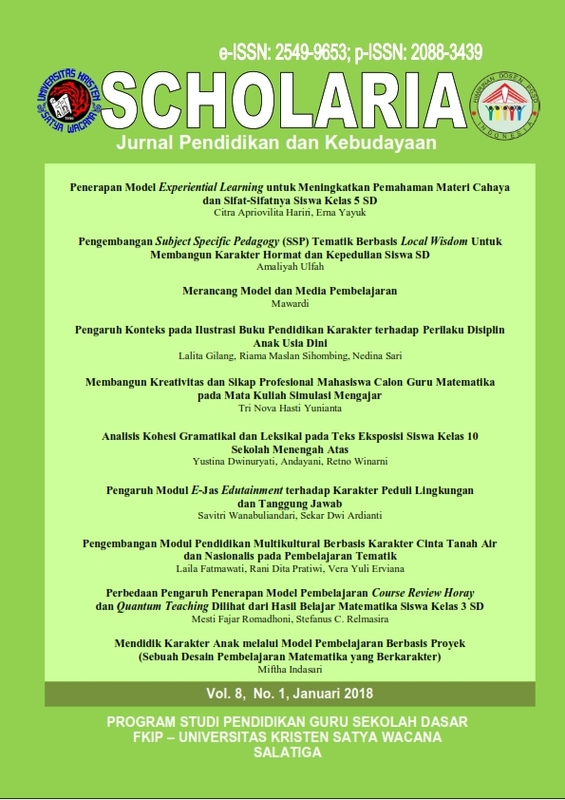 Ecodunamika is a peer reviewed journal managed by Program Studi Pendidikan Ekonomi, Fakultas Keguruan dan Ilmu Pendidikan Universitas Kristen Satya Wacana Salatiga. These journals contain of economics, accounting, management, business, entrepreneurship, finances and education research. SATYA WIDYA is presenting diverse, yet still within major themes in education. Especially the study of theoretical education and results of descriptive research, classroom action research, experimental and development research, in the purpose of sustainable professionalism development. Perspektif Akuntansi merupakan media publikasi di bidang akuntansi yang diterbitkan oleh Center for Accounting Development and Research (CARD), Program Studi Akuntansi, Fakultas Ekonomika dan Bisnis Universias Kristen Satya Wacana. Misi Perspektif Akuntansi adalah memfasilitasi hasil-hasil studi yang dilandaskan pada pemikiran kritis, independen, dan integratif. Perspektif Akuntansi berorentasi pada hasil studi baik dalam kepentingan kontribusi empiris maupun teoretis dengan melibatkan berbagai paradigma ilmiah. Perspektif Akuntansi juga merupakan jurnal ilmiah di bidang akuntansi yang menjunjung tinggi norma moral, integritas keilmuan dan keilmiahan, serta kejujuran baik editor, reviewer, maupun penulis, sebagai dasar dalam proses pengelolaan editorial, maupun proses pelaksanaan publikasi artikel. Proses editorial Perspektif Akuntansi didasarkan pada tahapan peer blind review dengan tujuan untuk mencapai interigras keilmuan dan keilmiahan, serta menjunjung tinggi kejujuran, terutama dalam kerangka ilmiah. Oleh karena itu, Perspektif Akuntansi menetapkan panduan Etika Publikasi yang terdiri dari etika publikasi untuk editor, reviewer, juga penulis dalam setiap tahapan proses publikasi. Etika Publikasi ini merupakan satu kesatuan yang tidak terpisahkan dalam keseluruhan proses publikasi artikel. Dengan demikian Perspektif Akuntansi secara konsisten berkomitmen untuk menjaga etika publikasi dalam pemenuhan publikasi ilmiah yang berkualitas. 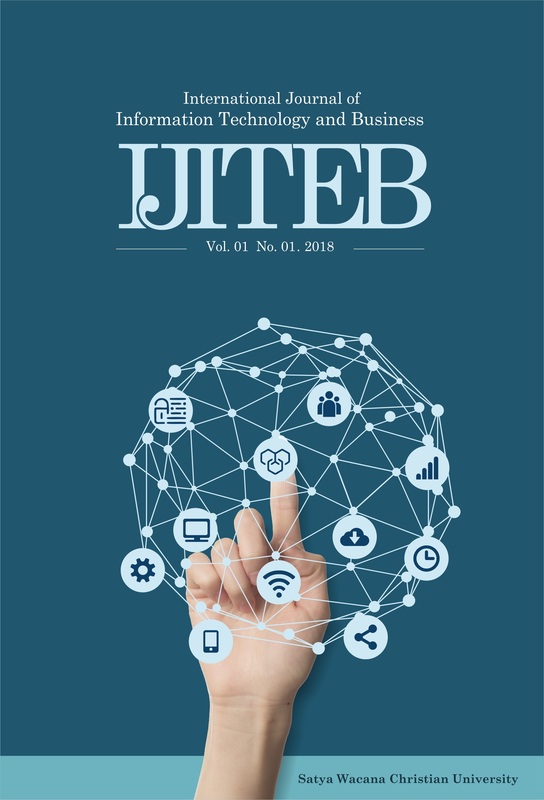 International Journal of Information Technology and Business (IJITEB) is a peer-reviewed journal, which published original research papers on the field of information technology and business. The journal is dedicated to the advancement of interdisciplinary research and practices across information technology and business. Each submitted paper will be assessed in high standard of excellence by the member of international editorial advisory board. Manuscript will be judged on their contents, originality, depth of analysis, structure and contribution to the literature.